No matter what your goal, the right supplements and nutrition guidance can help you get the results you want both in the pool and in the field. We’ve revolutionized the way elite athletes work out, fuel their body, and push their limits. 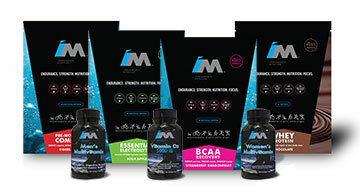 IM Performance Nutrition supplements have been carefully formulated to help keep your drive alive with the energy and nutrients needed before, during and after training and competition.